The first issue of LAZARUS, the new dystopian Image Comics series by Greg Rucka and Michael Lark, has sold out the day of its release. Called “absolutely riveting, complex and stunning” by Comic Book Resources, LAZARUS #1 is immediately going back to press. The second printing will be in stores on July 24, the same day as LAZARUS #2. The story of Forever, an apparently-immortal young woman, who was created as a lethal bodyguard and enforcer for the powerful Carlyle family, LAZARUS is set in a society that is at once highly futuristic and regressively feudal. Concentrated wealth and technological knowledge has put a few families in control of the lives who those who work for them, and Forever’s job is to maintain her family’s hold on power. As writer Rucka recounted in interviews at the New York Post and Beyond Chron, Forever’s story and society was influenced by the Occupy Movement’s concern about economic inequality. 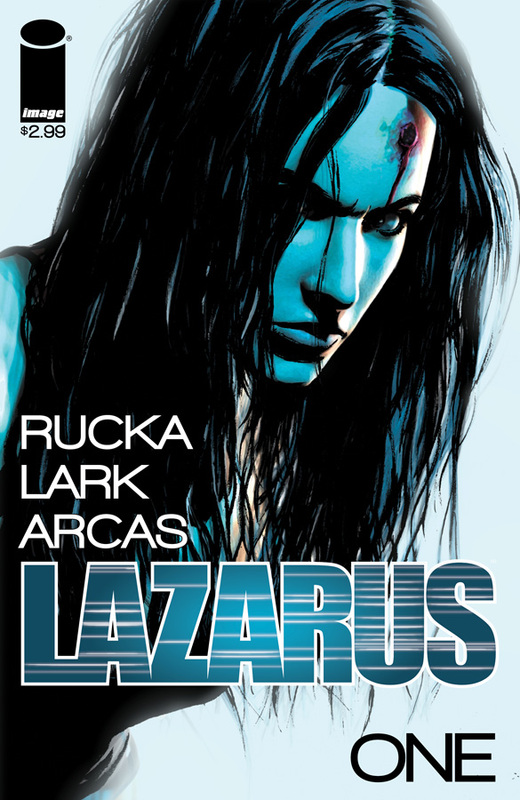 While gratified at the new series’ success, Rucka is hesitant to ascribe political motivations behind the success of LAZARUS, though he does feel the comic speaks to people’s present experiences. The second printing of LAZARUS #1 is available for pre-order now (MAY138228). This entry was posted in Columns and tagged Greg Rucka, IMAGE COMICS, LAZARUS, Michael Lark, MTV Geek, newsarama. Bookmark the permalink. Follow any comments here with the RSS feed for this post. Post a comment or leave a trackback: Trackback URL.